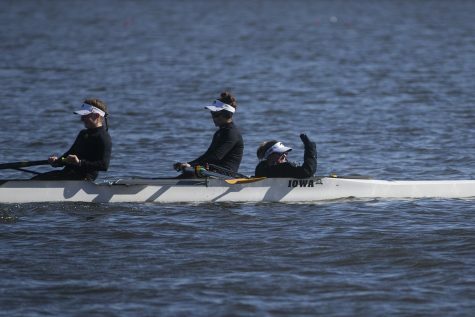 Iowa rowing will use its returning experience against tough competition this weekend. 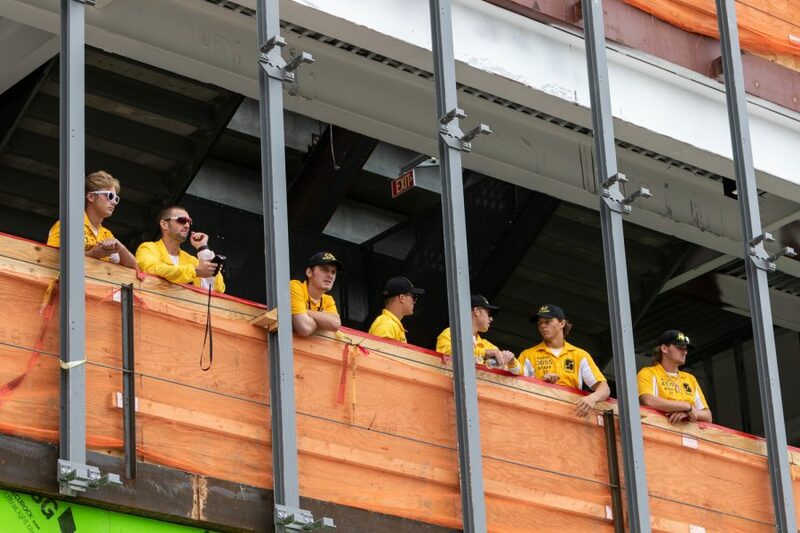 Stadium staff watches the growing crowd from a construction area in the north end zone of Kinnick Stadium before a football game against Iowa State University on Saturday, Sep. 8, 2018. 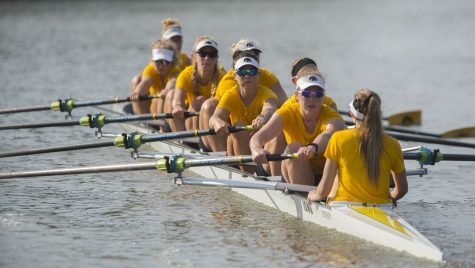 The Iowa rowing team ended last season in 11th place at the NCAA Championships — its highest finish in modern history. 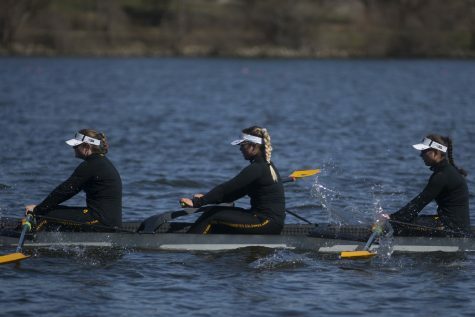 Although Iowa is only returning one of its I Varsity Four boat in Kayla Jensen, 66 percent of last year’s I Varsity 8 boat will be in attendance this weekend as the Hawkeyes travel to the 2019 Pac 12 Invitational in Redwood Shores, California. Among them are returning All-Americans Contessa Harold and Hunter Koenigsfeld. Harold believes the experience returning will help drive Iowa to push for more. Harold is a dominant force in Iowa’s middle crew and looks forward to the adrenaline that race day brings and simply being back out on the river. 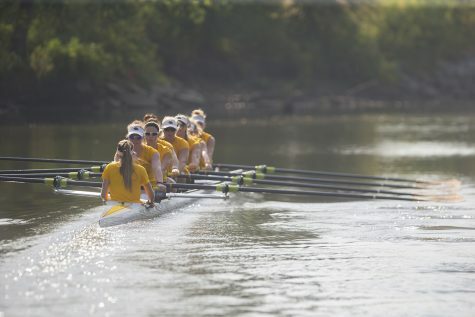 The Hawkeyes’ last event was the Head of the Charles on Oct. 20, 2018, and the team has put in the work during the offseason in preparation for this weekend. Iowa will get its shot at No. 1 Cal, No. 3 Stanford, and No. 12 USC. Other returning starters include Hannah Greenlee, Katie Pearson, Logan Jones, and Eve Stewart. 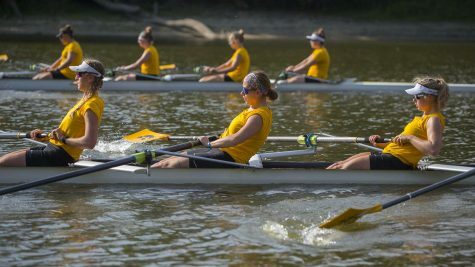 In July 2018, Stewart earned a silver medal at the U23 World Rowing Championships. 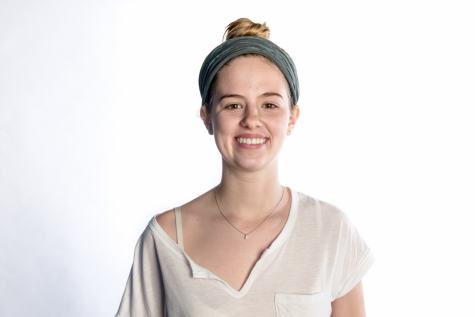 This season, she said, she looks forward to how the team matches up with the competition. 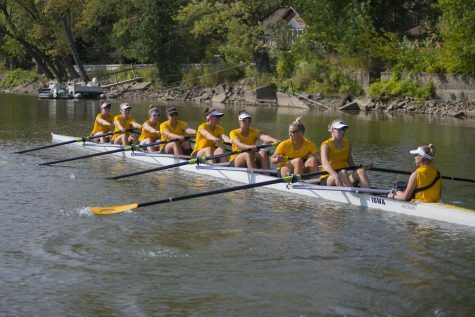 Last year, the 1V8 and 1V4 boats both fell to Cal and Stanford before defeating USC. 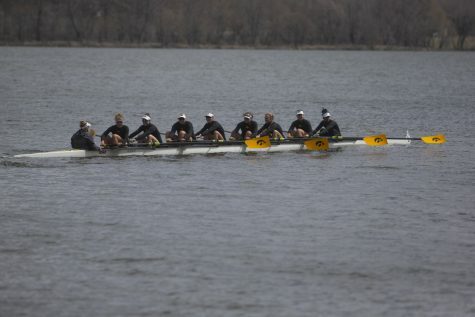 The Hawkeye 1V8 boat will kick off the competition that begins at 11:20 a.m. on March 30 against USC.